Next cleanup Saturday, Feb 7, 2015, 9AM to 1 PMon Maybank Highway. more details and to signup. The Walnut Hill School House was built in 1868. By 1880 there were as many as 11 one-room school houses on Johns Island. The one room building was used as a school house up until the 1930s, when it was turned into a courthouse. The schoolhouse was opened as the Johns Island Museum in 2001 but was closed in 2010. The Johns Island Conservancy refurbished the schoolhouse, the museum exhibits and reopen it in November 2012. The Museum is now open on Thursdays and Saturdays and by appointment at any time, especially for school groups. The Walnut Hill Schoolhouse was originally built for the freed slaves after the Civil War. It was the beginning of public education for the Island. Eventually the schoolhouses were divided between black and white students. 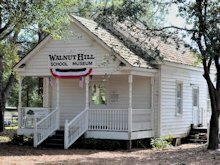 The Walnut Hill Schoolhouse was used by white students living at the south west end of Johns Island. During that time it was located on what is now Betsey Kerrison parkway near Pumpkin Hill Road. In 1991 the building was going to be demolished as part of a road widening project. Mrs. Betty Stringfellow, a local historian and co-author of the book A Place Called St. Johns, decided to rescue the building. Mrs. Stringfellow grew up on Johns Island and Seabrook Island and her mother, Marie Andell Hamilton, had attended the Walnut Hill School as a child. In a matter of days she obtained the rights to the condemned building from the state and had it moved two miles down the road to her property at the south west end of Johns Island. She subsequently had the building restored and modernized; created the exhibits and displays; and opened it as the Johns Island Museum in 2001. A farm stand occupied Mrs Stringfellow’s property where the museum is located until the end of 2010 when the museum was closed. 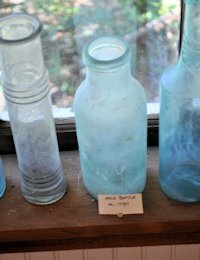 The Johns Island Conservancy led a community effort to refurbish the building and reopened the museum to the public and by appointment for school and community groups. 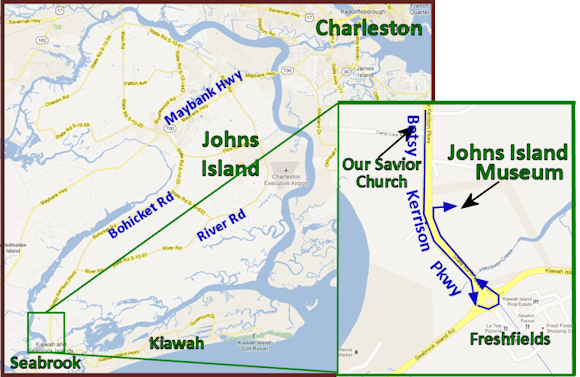 The Johns Island Schoolhouse Museum is located at the end of Johns Island at 4455 Betsy Kerrison Parkway near Haulover Cut on the left just before the Freshfields Roundabout. The best way to reach the schoolhouse is to go all the way through the roundabout, reversing direction and entering the parking lot on the right by the sign.